This male Yellow-billed Kingfisher is feeding a chick in a hollow made in a termite nest in a tree. The nest is about two metres off the ground and we kept well clear of it so as not to disturb the birds. 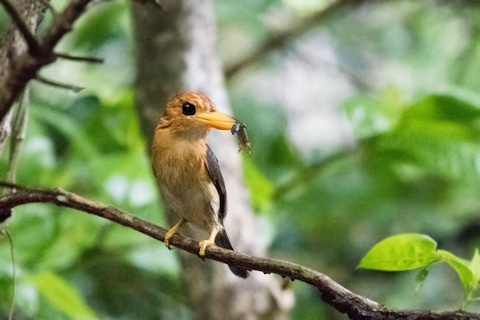 The Yellow-billed Kingfisher has a skink in its bill.